Home Categories Vitamins & Supplements Spot Wool Pom Poms with Catnip - 4 pk. It smells like hay and looks like oregano, but to your cat, it's heaven. 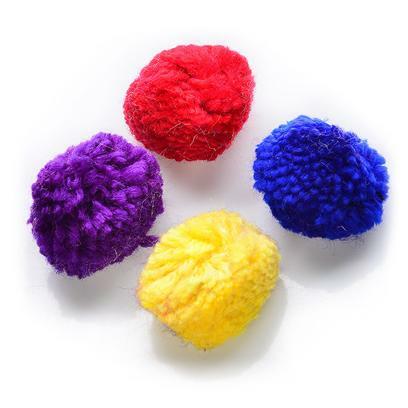 Give kitties a toy they'll love with the Spot Wool Pom Poms. Each pack has four colorful poms poms that contain catnip. You'll love making your cat so happy. She'll love playing with the soft, fun ball that smells like heaven.